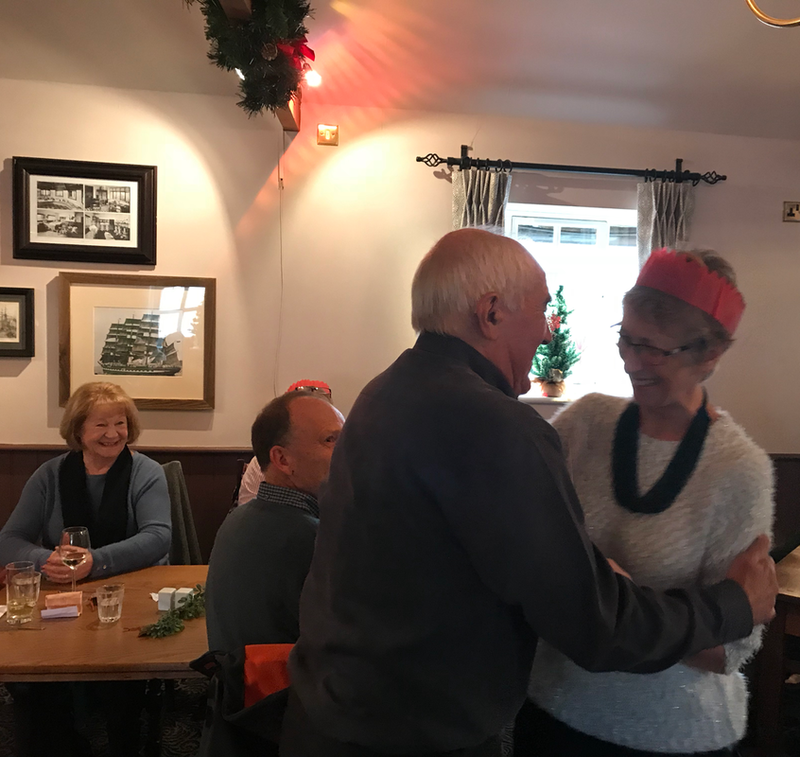 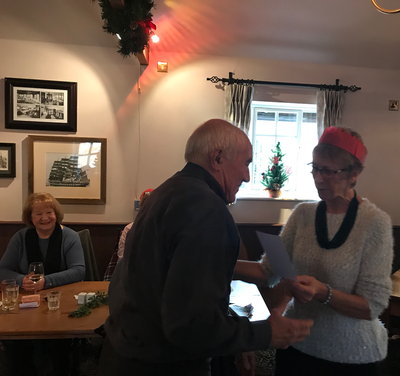 Our annual lunch and prize-giving this year was held on Tuesday 12th December at the Walhampton Arms. 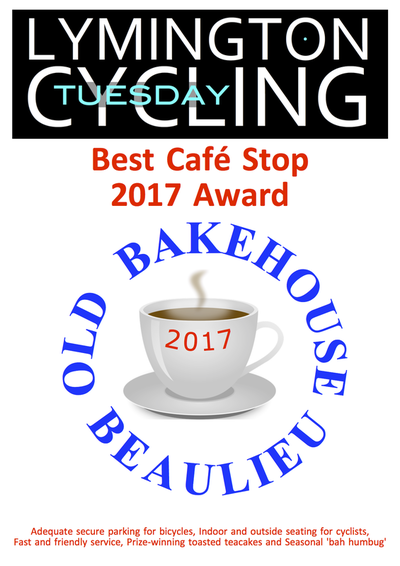 Unfortunately a serious drop into negative temperatures overnight that were forecast to continue freezing until mid-morning on Tuesday, with a Yellow ice warning from the Met Office, meant that our traditional pre-lunch cycle ride to Beaulieu for coffee was cancelled in the interest of safety and the avoidance of pre-Xmas broken bones. 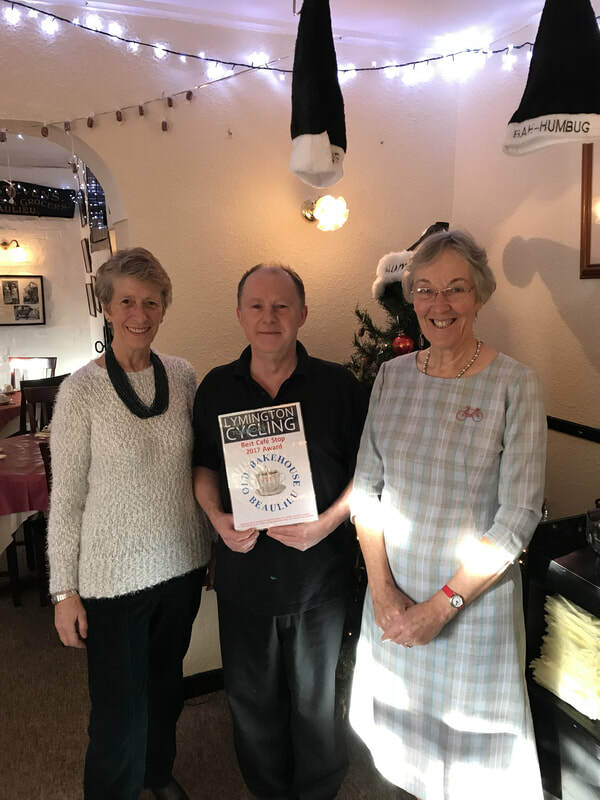 Nonetheless a small deputation (Mary, Mike, Sheila and John) were dispatched by car to the Old Bake House cafe for coffee and to inspect the Bah-Humbug decorations and Xmas tree. 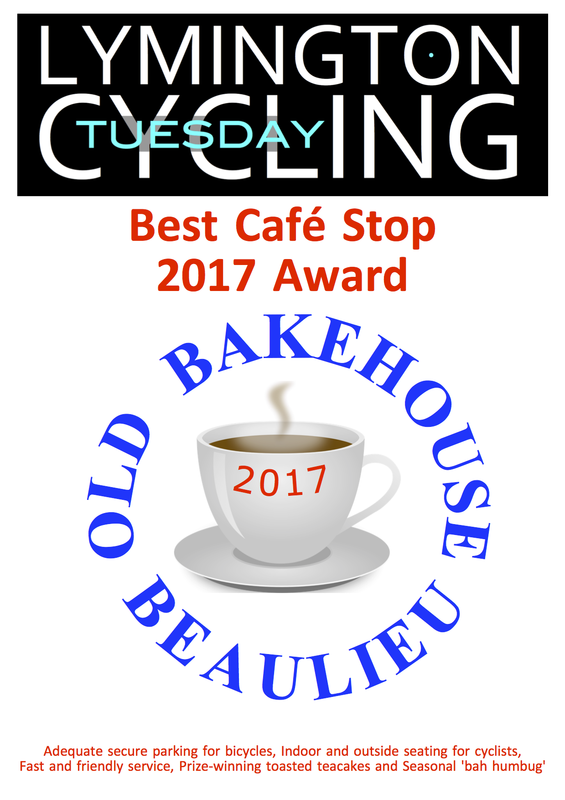 Although dressed in our 'glad rags' rather than cycling lycra we presented the proprietor, Ian, with the Lymington Tuesday Cycling Coffee Stop Cafe of the year award for 2017. This comprised a certificate and a bag of humbugs to swell their Xmas supply. 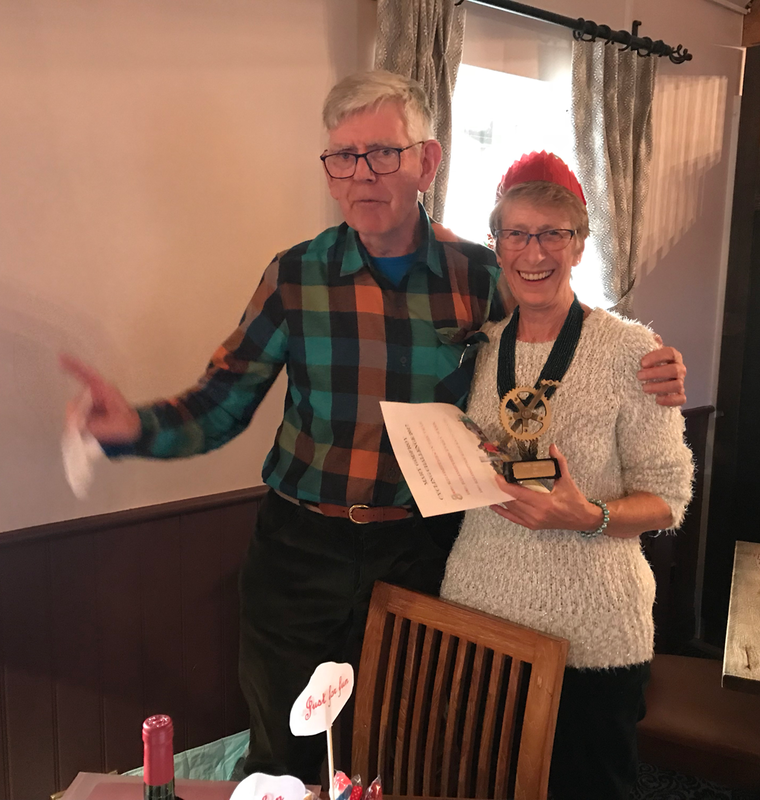 Being a non-competitive cycling group (not even a 'club') once again there were no prizes for the fastest 10 mile time-trial of the season, nor for the '25'. 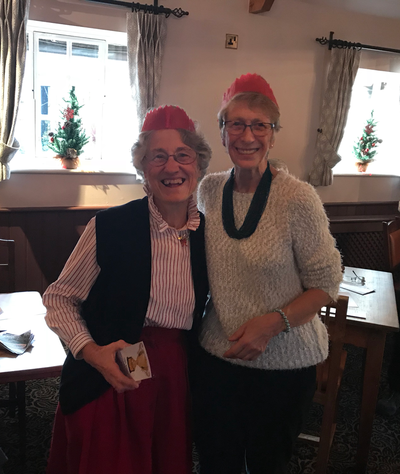 And for Mary who had set out to make 2017 a lifetime personal best cycling 100km every week + another 100km event every month and 7,000km (or is it now 8,000km?) 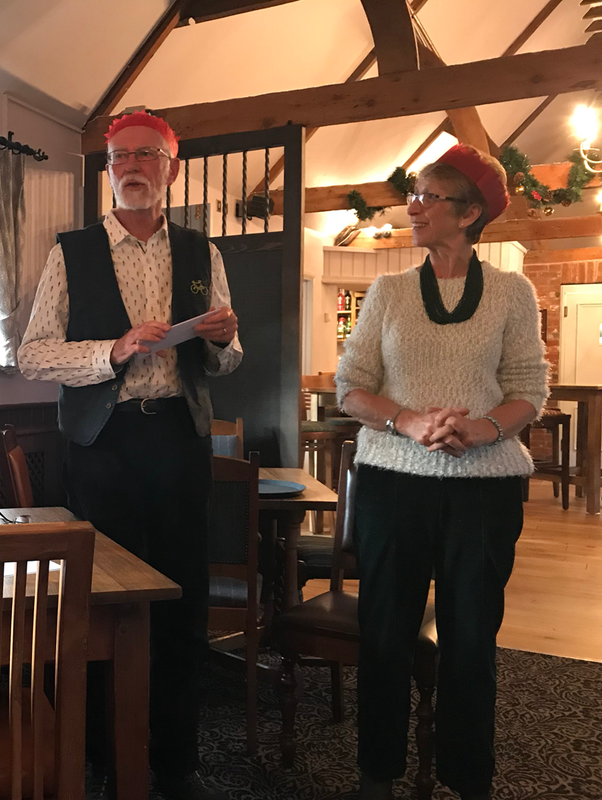 in the year, a special award. Like so many people who overdo it Mary has declared that she will not be repeating this excess in 2018; and will be cutting down on cycling in order to do some swimming. There is a rumour that she is hoping that Santa will bring a waterproof mobile phone so that she can upload Strava ready for her Cross-Channel swim! 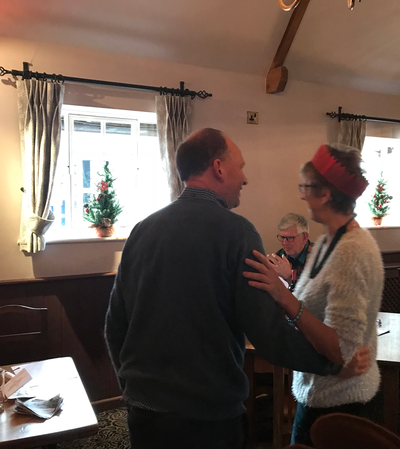 And finally, thanks to Mary for once again organising our annual Xmas lunch. 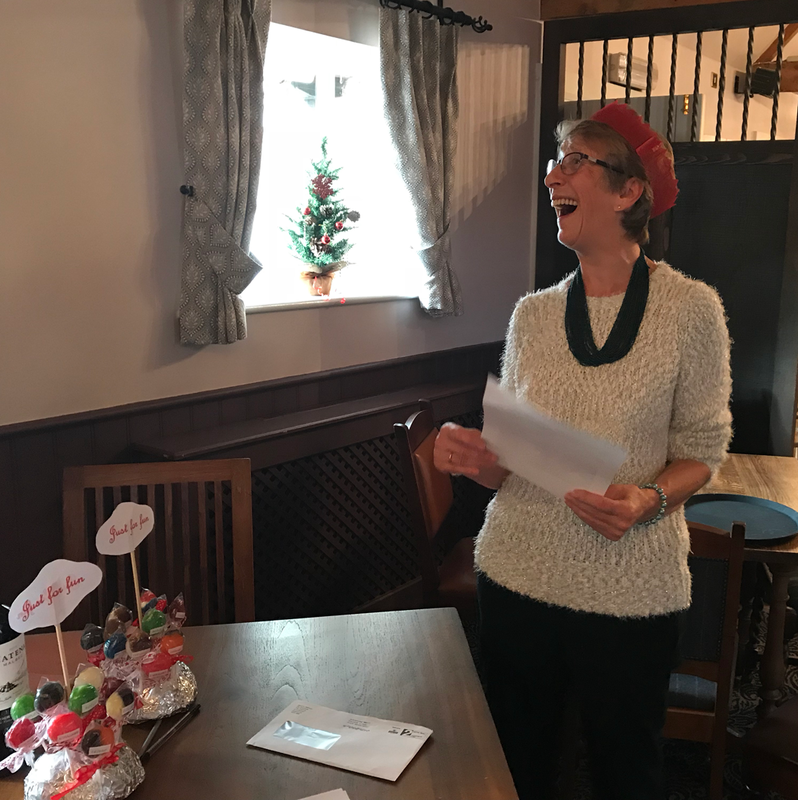 She seemed to be enjoying it too.